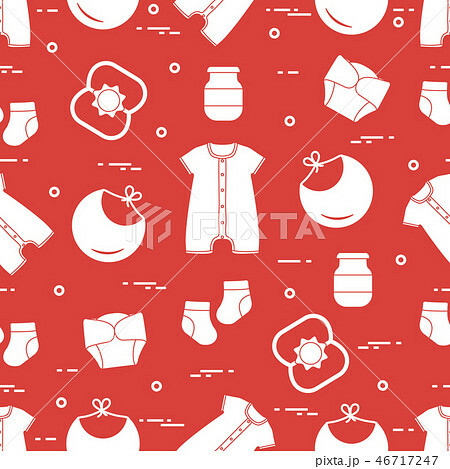 Seamless pattern with goods for babies. Newborn baby background. Bib, baby food can, rattle, socks, diapers, bodysuit.